As prices rise and stocks drop, it’s highly likely that this holiday season most of us will find fewer gifts under the tree, or at least less extravagant ones. However, I, for one, refuse to allow this current economic fiasco to burst my bubble (literally), particularly during the most spirited time of the year! Yes, belts will tighten and parties will be scaled back, but there are certain, shall I say, “comforts and joys” that must be preserved. 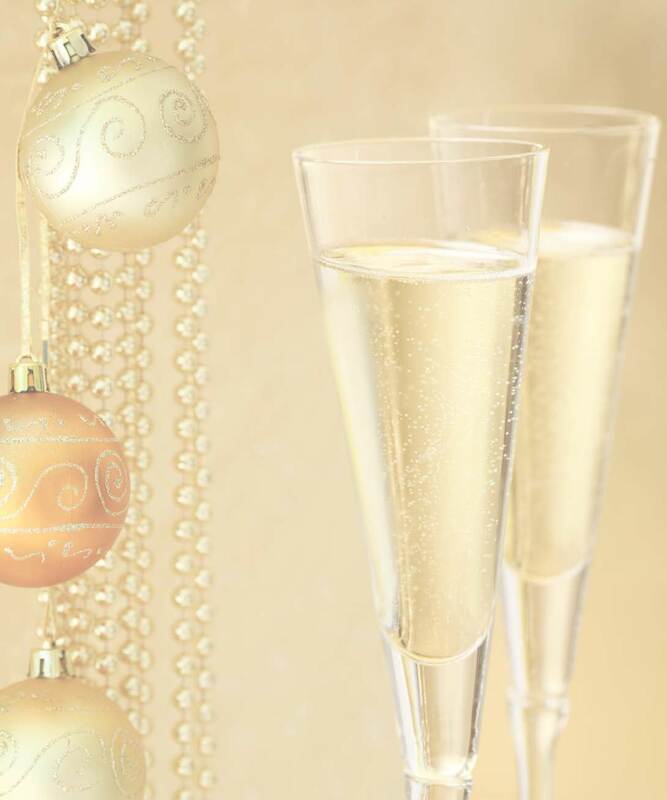 To put it simply, we must “keep champagne in Christmas!” Luckily, there are a plethora of sparkling sensations, from cava to prosecco, that won’t pop your cork, so the sacred traditions of endless toasts, glass-shattering clinking and slurred speeches will live on. Having recently returned from an indulgent wineand- food-frenzied trip to Spain, the highlight being an extravagant 30-course feast at the world-renowned elBulli, it’s only natural that many a cava crossed my palate. Yes, we enjoyed cava with lunch, then midday cava “just because,” toasted the sunset with cava and, of course, ended each day with a fabulous dinner and more cava. Our journey led us to Penedes, the premiere cavaproducing region of Spain located just south of Barcelona, where 95 percent of the country’s sparkling wine is made. Here cava is produced using the same traditional techniques that are used in Champagne, France, where true Champagne is made (all others are technically sparkling wines). What differs with cava are the grapes used; typically the indigenous varieties xarel-lo, macabeo and parellada are used along with chardonnay. Classic examples are dry, fresh and crispy with citrus qualities and lively acidity. Once considered nothing more than a cheap alternative to Champagne, in recent years cava has become much more fashionable. And due to its likable nature and more-than-affordable price tag (most sell for $8–$12), cava is the ideal everyday bubbly. We visited the two largest and most recognized brands, Codorniu and Freixenet, and it’s evident by their state-ofthe- art, over-the-top facilities that both are hugely successful. Both feature tram rides, movie theaters, opulent tasting rooms, and one even had a sensory tunnel that featured vineyard sounds and Smellavision! It truly is, as one of my travel companions called it, adult Disneyland! The polar opposite of Penedes is Italy’s Veneto region, the home of prosecco. This breathtaking, picturesque area filled with vast rolling hills and majestic views takes a laid-back approach to wine. Many of the wineries are small, family-owned estates, which still produce wine using traditional techniques. While you’ll be hard-pressed to find glitz, glam or a tram ride in Veneto, the region is home to many fantastic wines, including prosecco, Italy’s answer to Champagne. Prosecco is the actual grape type used to create this refreshingly delightful and affordable bubbly, the best examples being 100 percent. Unlike cava, prosecco is not made using the classic methode champenoise (Champagne method), as this process involves aging the wine, which would strip processo of its youthful freshness. Instead, they use the Charmat method, a less expensive approach to sparkling wine whereby secondary fermentation is done in bulk tanks rather than in bottle. While the vast majority of bubbly produced this way is not very high quality, Italian winemakers have found a way to reverse that trend and continue to churn out bottle after bottle of this refreshingly pleasant, everyday-drinking sparkling wine. 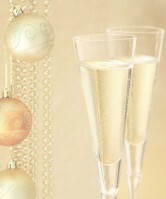 Due to the crisp, fresh nature and generous bubbles of prosecco, it is the ideal sparkling wine to use when making Champagne cocktails. Try adding a dose of fresh fruit juice, such as muddled raspberries or pomegranate, for the perfect colorful holiday drink. With the average bottle selling for under $15, prosecco is the ideal party or “just because” bubbly. Then, of course, there are sparkling wines made in the U.S. by top estates that also have vineyards in Champagne. These American wineries, the majority of which are located in Napa or Sonoma Valley, typically offer the same house style as their French counterparts but at greatly reduced prices. Most utilize the same grapes, namely chardonnay, pinot noir and pinot meunier, and employ the methode champenoise. Fine examples include Domaine Chandon, the American version of Moet et Chandon; Domaine Carneros, Taittinger’s sister brand; Roederer Estate, Louis Roederer’s American label; and Cuvee Mumm, the domestic version of GH Mumm. Naturally, California bubbly does not completely mirror true Champagne when it comes to taste, as they tend to be more fruit driven and lack the classic terroir characteristics found in French bubbly. That being said, there are many exceptional examples, and due to the grave disparity in price, domestic sparklers are exceptional values. While the French varieties typically start at about $70 on the low end and go up to $100 a bottle for their prestigious tete a cuvees, California sparkling wines average in price from about $25 to $60. Now, if a mistletoe moment happens upon you, or you simply get caught up in the spirit of the season and must splurge on an exquisite bottle of true Champagne, then by all means do so. But whether you’re sipping Italian prosecco, California sparkling wine, cava from Spain or French Champagne, may your glass overfloweth with bubbles and may all your holiday wishes come true! Consistent and versatile, this classy sparkler emits lovely aromas of peaches, toasted nuts and warm spice. It is crisp and lively with citrusy flavors, a remarkable mousse and a rich, pleasing finish. This complex and well-structured sparkling wine is incredibly creamy and subtle on the palate. Ripe melons, brioche and toasted nuts intermix with caramel and nutmeg, creating a divine symphony of flavors that meld into a lingering finish. Lush red fruit flavors of cherry, strawberry and raspberry intermingle with hints of spice, butternut and vanilla to produce this delightfully elegant wine. Balanced and stylish, it offers exceptionally tiny bubbles and a creamy mousse. Made in the classic French house style, this domestic sparkler is rich, yeasty and creamy with lively notes of apple and pear. Reserve wine is added to the blend creating a complex bubbly with layers of flavor and great finesse. This medium-bodied, well-made wine displays scents of green apple, pear and fresh lime with minerally nuances. On the palate it is fresh, harmonious and lively, with apricot, peach and flinty tones and a generous finish. Refined and elegant with great finesse, this exceptionally well-made prosecco offers up lovely floral aromas with a slight nuttiness. On the palate it is delightfully crisp and bright, with a lively effervescence. Delicate and graceful, this tasty cave melds reserve and nonvintage wines to create this classic blend. It is well balanced and crisp with flavors of citrus fruits and a persistent mousse. A touch of reserve wine imparts depth and flavor to this traditional Spanish blend of parellada, macabeo and xarello grapes. Fresh and lively, it marries perfectly with soft cheeses, dried fruits and desserts.